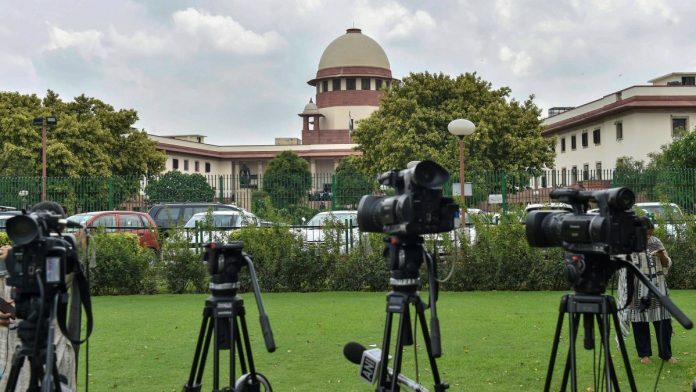 Already under far greater scrutiny, the Supreme Court can also now face charges that it is trying to suppress valid criticism. Last week, India’s Attorney General K.K. Venugopal made the unusual move of filing a contempt plea in the Supreme Court against activist-lawyer Prashant Bhushan, calling for action over some of his tweets. Bhushan had earlier tweeted to accuse the AG of making a “wholly false statement” in the court in a case pertaining to the appointment of the interim CBI director. If that wasn’t enough, the Narendra Modi government followed suit, and filed a plea of its own seeking a similar contempt action against Bhushan. While it observed that “contempt is a bramhastra”, which should “not be used ordinarily”, the bench of two judges nevertheless issued a notice to Bhushan. At a time when the court has often spoken about the need for transparency in the justice system, and led many to expect it can uphold rightful dissent as an extension of the citizens’ freedom of expression, the move against Bhushan has reopened the entire debate on whether the top court should even be accepting such frivolous pleas. By now deciding to examine the larger issue of whether or not people can and should comment on pending court cases, despite the AG’s request that he doesn’t want to press his plea, the Supreme Court may have taken the slippery slope. If a couple of tweets prompt the Supreme Court to start thinking of ways to discipline lawyers, and make it wonder that such remarks could influence the course of justice in sub-judice matters, what are the possibilities that the public’s faith in the institution would grow? Also read: Will Supreme Court stand up to Narendra Modi govt’s bullying? The fear is that the debate may soon deteriorate into one where the court, under far greater scrutiny than ever before, could open itself to the charge that it is trying to suppress valid criticism. The court certainly would not want that. It doesn’t require the IQ of an Einstein to figure out that Bhushan, through his tweets, wasn’t interfering in the “administration of justice” or “scandalise the court”, prerequisites for the criminal contempt of court. Bhushan was, instead, accusing the government of having “misled the court and perhaps submitted fabricated minutes of the HPC (high-powered committee to select the CBI director) meeting”. If the court began exercising their contempt jurisdiction every time a lawyer or a common citizen accused the government or its functionaries of lying, we would need many more jails to accommodate just those accused of this offence. And how can the country’s top court even mull such a flawed idea when anybody with a smartphone can comment on anyone and everything in this digital age? If protecting the dignity of the institution is important, then the need for institutions in a democracy to open themselves up to greater scrutiny and criticism is equally important, even if there remains the danger that, sometimes, overzealous citizens may cross the Lakshman Rekha. Shouldn’t the judges do well to remember the words of the great jurist, Lord Denning, on criticism? “We do not fear criticism, nor do we resent it. It is the right of every man, in Parliament or out of it, in the Press or over the broadcast, to make fair comment, even outspoken comment, on matters of public interest,” he had said decades ago. Or the views of the Constitution bench of the Supreme Court in Baradakanta Mishra versus the Registrar Of Orissa High Court, wherein the court talked about the difference between justice and judge? Hasn’t the world moved on from the times when the Supreme Court decided that the “purpose of contempt jurisdiction is to uphold the majesty and dignity of the Courts of law”? Do we really need guidelines to fix comments on court cases? Shouldn’t the courts be more interested in issuing guidelines on how to get their orders implemented from the government or tackling the propensity of the government to sit on or completely ignore recommendations of the Supreme Court collegiums for appointments to the higher judiciary? A chart that was part of the report of the Law Commission of India when it had examined the Centre’s last year’s proposal to amend the Contempt of Courts Act, 1971, to restrict the definition of contempt only to “willful disobedience of directions/judgment of Court”, makes for an interesting reading. This chart shows that as of April 2018, there were 683 civil contempt and just 15 criminal contempt matters pending in the apex court. The corresponding all-India figure for high courts was in thousands (civil contempt) and a few hundred for criminal contempt. Since civil contempt is the power granted to courts to deal with “willful disobedience to any judgment, decree, direction, order, writ or other process of a court or willful breach of an undertaking given to a court”, shouldn’t the court be focused on ensuring that those in position of power didn’t take its directions so lightly? Courts don’t need to be in an adversarial relationship with the public or lawyers. The glare, instead, should be on the government. When PM Modi asked the then CJI to act as a family, what was the meaning? If we got that meaning straight way then why is SC behaving in this method on people, even SC lawyer Prashant Bhushan must be clear to us. It’s beyond doubt that SC is sold out to Modi ji. A sincere request. Along with your no holds barred vilification campaign against Mr. Modi., please present a chart of promises made by the former leaders of India and what exactly they delivered. Life follows a principle of reciprocation. You give respect to Mr. Modi and the Prime Minister’s chair that he occupies and he will respond in the same tenor. If every other journalist behaves like a know all and brings up unheard issues and keeps vilifying Mr. Modi, he will reciprocate by acting as the victim. I hope media grows up for the sake of this country. The previous leaders did not deliver so Modi is bought to power. Now Modi also failed to deliver and someone else will take his place.. Nothing unusual there, normal in a democracy..
HPC has CJI as member. If government fudged the minutes it is in big soup. I have little trust on Prashant Bhushan and Kharge. Now who maligned PM and CJI by a tweet?